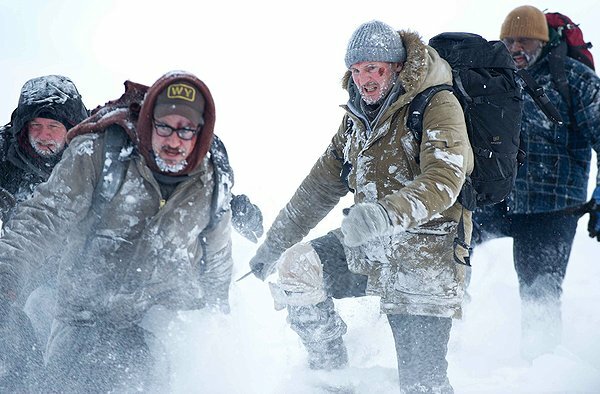 Against tough odds, Joe Carnahan’s film The Grey infiltrates the titular haze of its frigid, blizzard-ridden environment to penetrate the human heart. The title also alludes to the grey wolf, a beautiful creature that is also the world’s most notorious predator canine, justifiably or not. I don’t normally search out number-one box office hits, especially violent ones, but this one impressed me deeply, so my reference to the director is also a nod to Andrew Sarris, the recently deceased critic whose auteur theory helped moviegoers understand films as the creation of a director-as-artist. And at a time when the current top-grossing movie is about a foul-mouthed teddy bear, we might gain better bearings with a film exquisitely photographed and superbly acted under often-ruthless conditions in British Columbia. Perhaps I needed a wintry film to psychically cool me amid this sultry summer. Man, this did the trick. I felt sympathetic frostbite, even in our 90-ish° weather. But I was also very curious about how the film would depict wolves — its nominal heavies. It turns out more rabid wolf lovers than me* object to this movie. There’s an organized protest against the film, including a Boycott-The Grey Facebook page. The page cites the seemingly compelling statistic that only one human has been killed by a wolf since 1888. The page goes on to say that the film’s “completely fictional” depiction of wolf behavior encourages “ignorant people to think it’s a good thing to kill all the wild wolves” because of the depiction here of wolves whose behavior is largely computer-generated. So what happens in the movie? Well, Liam Neeson as John Ottway and a plane full of fellow oil riggers crash into the Alaskan wilderness. As Ottway — who knows wolves as a poacher — explains, they have accidentally ended up very close to the wolves’ den. These wolves will aggressively, and it turns out relentlessly, defend their den. “We are interlopers,” Ottway says. I question his former point, but agree with the latter two. Neeson the poacher does shoot one wolf in the beginning, but we see him walking up to the creature, crouching and placing a tender hand on it as it dies. He is clearly conflicted about his poaching and is actually suicidal — his wife has left him and his self-esteem is now stuck on the bottom of his boots. Yet he knows how dangerous a wolf can be — when protecting its territory. Wolves usually give up chases after 1–2 km (0.62–1.3 mi), though one wolf was recorded to chase a deer for 21 km (13 mi). But their territorial protection is very real. So the chase by the wolves in the film is plausible. So do wolves attack humans or not? Today, “territorial threats and starvation are likely the two chief reasons for wolf attacks,” but some researchers posit that wild wolves can, in fact, begin to explore humans as prey under certain other conditions, Geist writes. And despite the claims of Facebook’s The Grey-boycott page, Geist writes of 21 reported fatal wolf attacks since 2000. Most have been in rural Russia, but recent attacks also include one wolf-related death in Saskatchewan, Canada, and one in Alaska — the 2010 mauling death of teacher Candice Berner, who was out jogging near Chignik Lake, Alaska. Thousands of Europeans were killed by wolves between the 1500s and 1800s, when rabies was far more prevalent. Historically, North American settlers’ guns have made wolves wary of humans. The men in this film are without any guns, Ottway’s rifle having been ruined in the crash (He fails to think of bringing it anyway as a visual threat or a club, a small plot flaw). Meanwhile, the core territory of a grey wolf pack is on average 14 square miles, so you begin to sense the dilemma of these men. Do you stick by the downed airplane with its partial shelter and likely radar location of search parties, or do you flee from the wolf territory? [What ensued was the best wilderness survival film I’ve seen in many years. The Grey cuts to the human experience on the icy edge of existence with brutal force, and stunning and telling detail. Note one scene’s blood icicles from above – the plane crashed and capsized… It gradually and persistently won me over. And the wolf attacks scenes, though shocking in their suddenness, did not seem gratuitously graphic, given how raw and immediate such attacks often apparently are. It’s a well-earned but, I think, an honest R-rated film. That character is John Diaz, a bristly ex-con played by Frank Grillo, who resists Neeson’s characteristically gruff, self-righteous bossiness. It’s almost a satirical commentary on Neeson’s typical alpha-male style, which is tempered here by the actor’s distinct intelligence and sensitivity. This is ultimately a story of men enduring hardship together and becoming more human for it, especially as they struggle to survive their fear, and often horribly forbidding weather, not to mention the wolves. The director says he tried to convey the wolves not as monsters but “as a fact of, and therefore a force of, nature.” They attack with uncannily swiftness and in one scene appear as a group of electric eyes hovering in the darkness. And consider it from the wolves’ point of view. I huge flying metal monster crashes and explodes near their den – a “territorial threat.” About seven humans emerge from it, some injured and bleeding. The wolves smell this, and come after the men, in instinctively aggressive self-defense. I buy this, even though I believe also that wolf attacks are very rare. So the real problem is not a film like this, if you watch it all the way through and acknowledge its philosophical aspects and its human story. The problem is reactionary politicians trying to undermine a long-sought re-population of wolves. For the first time ever, Congress may legislatively remove protections for an endangered species under the Endangered Species Act, reports the Center for Biological Diversity. Several bills have been introduced removing protections for wolves. Wolves have seen tremendous recovery in the northern Rocky Mountains and Great Lakes. But the job of recovery is not yet complete. With removal of protections, Wyoming would allow wolves to be shot on sight across most of the state and both Montana and Idaho would dramatically reduce wolf numbers. This threat brings me back to another aspect of The Grey, the wolf howls. Their cries are uncannily powerful, strangely musical and poignant. And they are an acoustic force of nature. Wolf howls can under certain conditions be heard from distances of up to 50 square miles. The soul-bracing wolf cry can penetrate the grey shield of human indifference. It would be a travesty to begin a regressive killing of such intelligent, highly social creatures with their wondrously profound call of the wild. 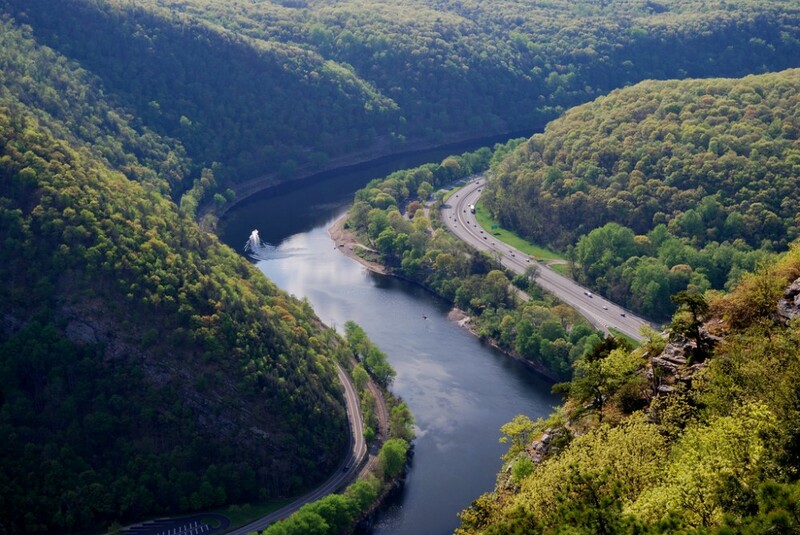 * I am a strong nature advocate, a Defenders of Wildlife member, the kind who’s truly touched by a recent birthday gift of a tree being planted in my honor in a National Forest. Thanks, Ann and Richard. Uhhhh – you might want to watch the movie again… his wife didn’t “leave” him (as in divorce), she died. That isn’t a “voluntary” action like “leaving” someone. Seriously? You think a pack of wolves are gonna “recognize” what a rifle is? You’re delusional. If that were the case, why not just hold up a long stick and “pretend” it’s a rifle? Mankind is PART of nature, so it’s “imposition” on us is no more logical than nature’s imposition on the wolves, or the airplane. Please spare the pontificating. You have no problem with man’s “interference” with nature via the reintroduction of wolves into the Rocky Mountain region, but you obviously have a problem with the harvesting of said reintroduced wolves. Which is it? In order to remain morally consistent, you cannot advocate one and decry the other, otherwise you’re just an ordinary hypocrite. Nature imposes itself upon other parts of nature every day, every hour. You can play semantics with me but the meaning and logic of that reality remain constant and consistent, as any sentient reader would realize. How do you understand man “interfering” with nature by helping it to maintain its natural balance? Wolves play an important role in that balance. And yet you seem to advocate for killing wolves. For what purpose would you “harvest” them? What would you do with their carcasses, to what “morally consistent” purpose? This movie tells the extraordinary story of humans accidentally and violently crashing in wolves’ natural habitat. It’s a gritty, hyper-dramatized story of existential circumstance and scientifically questionable animal behavior. Such traumatic encounters between man and wolf are rare. The accident is a byproduct of our advanced technology, going out of control. Who should take ultimate responsibility for the tragedy it purports to tell? It’s a compelling movie for raising these issues. Clearly you are not a cattle rancher or dairy farmer.Wolves cut viciously into the bottom line.They cannot and will not be tolerated withen 100 miles of any livestock. You’re right I’m not a cattle rancher. Thanks for your comment. You’re right, I’m not a cattle rancher, living in Milwaukee. Thanks for the comment.